For those returning readers, will probably recognize Dale Carnegie's book how to win friends and influence people of 1937. It is considered a bible for communicators and marketing advisors and I mentioned this book in an earlier post. Why do I bring that one up now? Classic literature is special to me. Not that I don't like the writers of today, but imagine a book that has survived 500 years, still being read by hundreds of thousands of people, tells me that book has to have something very special to say. Machiavelli, Hobbs, Popper are still read today, by students, leaders and all sorts of people really. 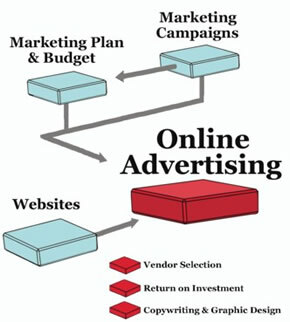 Now, marketing has evolved the latest years. This is a natural thing and it's why consultants and people in the PR-business charge as much as they do, they are supposed to give their clients the upper edge. Much water has run under the old bridge since the internet came. Back then, companies hired some geeky teenager, still living in his/her parents' basement, to build a website. And that was basically it. Now, with the social media hype, things are different. I will not bore with the obvious technical details, like that people are online 24/7, and everybody has a facebook account, but it's all about expectations. Expectations can take many forms. They can be given, presented to you if you like, also known as advertising, and they can be expressed to others, like a dialog. There are others as well, but I'll leave them for now. Social media is about dialog, it's branding, it is meeting other people's expectations, on his/her terms. Brands use this to meet a strategy within communication and/or marketing, but it's not that this is all controlled, dark and with a purpose. It is to all's best. Imagine the distance that existed between teams and fans earlier. The only chance to get info from a team was to go to a race and hang around the team bus, to be a journo, or buying cycling magazines. Nowadays, it's merely a tweet away. Transparency, openness, availability, interaction, fans oriented. These are all the buzz words of today and you will probably recognize most of them on the communication strategy every team have. Or do they? Do teams prioritize social media today? Based on a quick check on different websites, no. Team Sky have a nice website, it's clean and tidy, some nice technical extras like pictures turning color from B/W. Teams are of course on twitter, and based on their followers, popularity varies. On the other hand, I'm more concerned with quality rather than quantity, so I'm not judging based on followers. As I mentioned, meeting fans and journos on what they experience as their home turf, on their terms, is key. Teams who use their twitter feed only to send out results, only to retweet their riders' tweets and don't follow anyone else, is not doing the trick. Personally, I think Lampre's feed is like that, to some extent Katusha as well. If I want results, I go to Cyclingnews.com. No, I want to know other things, as a fan and as a consumer, I want to be met and being seen by teams. How else can I bond with them? One team who really have shifted their social media strategy is BMC. I tweeted about this yesterday, and instantly, I got feedback from other fans thinking the same. Shauna Staveley tweeted me and said that she believed this is the work of Sean Weide, who tweets under this account. BMC interacts, they have a strategy behind their work, no doubt. They are available, they interact with fans when the feedback is positive or negative, and very important; they have interesting stuff they tweet about. Small videos, behind the stage info, all the small things I like to know. They also have a strategy towards journos, mentioning journos by twittername and involving themselves with them. It's all natural and open so I don't have a problem with that. Human nature is human nature whatever the person do for a living, so that is fine. Combining info with tech, good pictures from pro photographers gives an impression of professionalism. So other teams, look and learn. 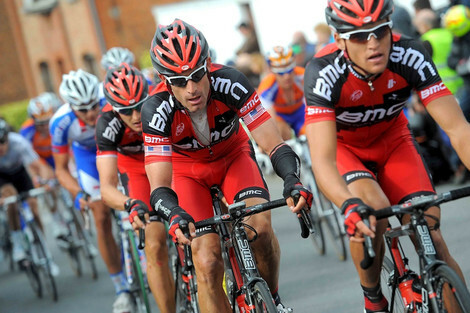 BMC is the new leader of the pack and other teams: It's okay to peek and learn. What team do you think is the best utilizing social media today? Agree, BMC is by far the best. Team Radio Shack & Sky try, but don't come close. Vaughters tweets quite a bit, but falls short because his tweets lack the team tie-in. I think that Sky are improving rapidly. The whole * product range * seems more inclusive from web chats, behind the scenes, twitter response etc. Training and post ride tech stats are becoming available so that even the geeky are catered for to some extent. The DS review of stage/race performance is getting better but perhaps it would be expecting too much for this particular output stream to be harder hitting. I contacted a few teams about info yesterday for some stories I needed to write. BMC were the only team that replied and did it immediately. Well done Sean. D'Andrea: Hi, I think that Garmin-Cervelo's twitterstream is mainly built around JV, like you're saying. Nothing wrong with that, to personalize G-C to JV, but branding is supposed to about the team as well. Ash & Joern: Hello guys, teams being able to be creative in their communication towards fans will make people follow them closely. The Leopard Trek calender is very nice, indeed. Informative yet simple. Xylon: Hi, that is my impression to, they are very fast to reply to fans' request, just the way it should be (unlike what I have been today, sorry, much to do at work..).